An extremely talented orthodontist, Dr. Shawn Long is well liked by all his patients and team members. 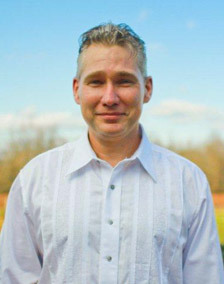 He attended Indiana University, and graduated in 1990 with a Bachelor of Arts. Dr. Long attended Indiana University’s School of Dentistry where he earned his Doctorate of Dental Surgery in 1994. He graduated at the top of his class and received a scholarship for academic achievement. Dr. Long proceeded to the Ohio State University College of Dentistry for a teaching surgical fellowship. He completed his orthodontic training in 1997 at the Eastman Dental Center, which is recognized as one of the top orthodontic schools in the country. Dr. Long has practiced orthodontics in the Northern Indiana area since 2003. It is important for him to raise his family in a community with the same morals and values that he grew up with in his hometown of LaOtto. Dr. Long’s hobbies include spending quality time with his family, vintage Shelby Mustangs, and a variety of sports, including weightlifting, running, rugby, and attempting to play golf.